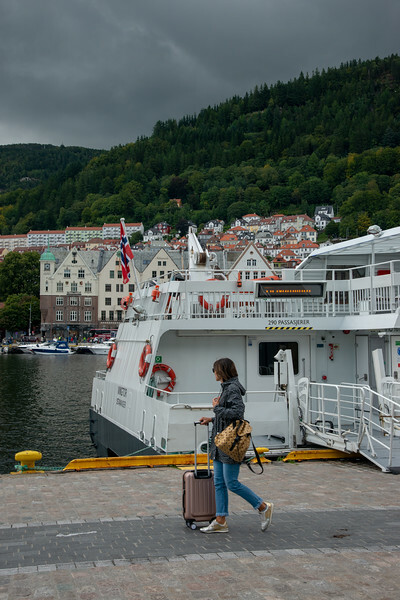 Fjord, Norway: Bergen and Flåm (Flam). 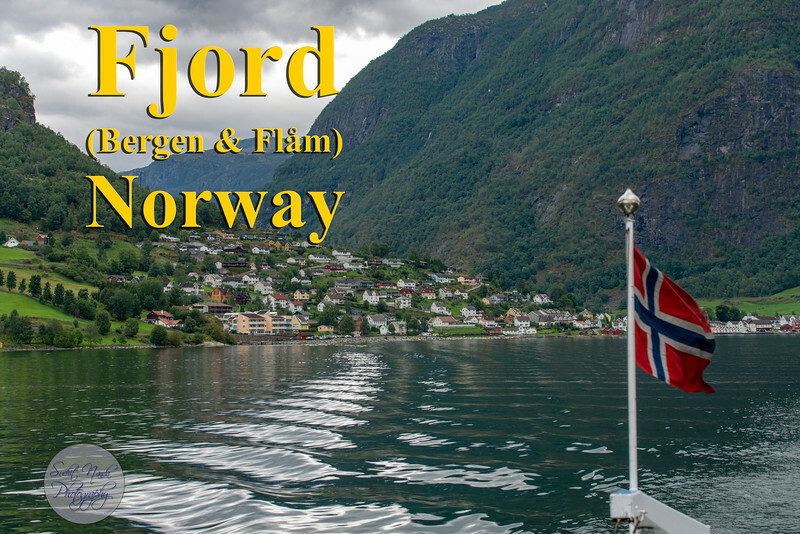 A fjord is a deep, narrow and elongated sea or lakedrain, with steep land on three sides. The opening toward the sea is called the mouth of the fjord, and is often shallow. The fjord's inner part is called the sea bottom. If the geological formation is wider than it is long, it is not a fjord. Then it is a bay or cove. 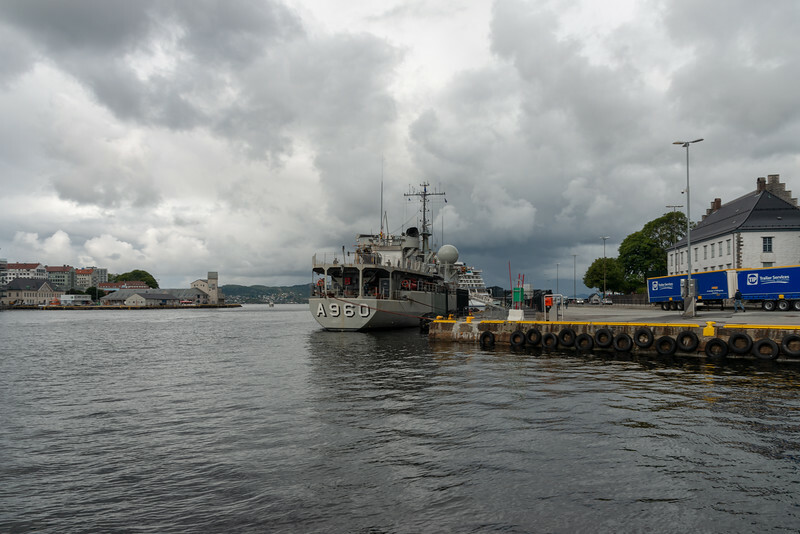 Bergen, historically Bjørgvin, is a city and municipality in Hordaland on the west coast of Norway. Flåm is a village in Flåmsdalen, at the inner end of the Aurlandsfjorden—a branch of Sognefjorden. 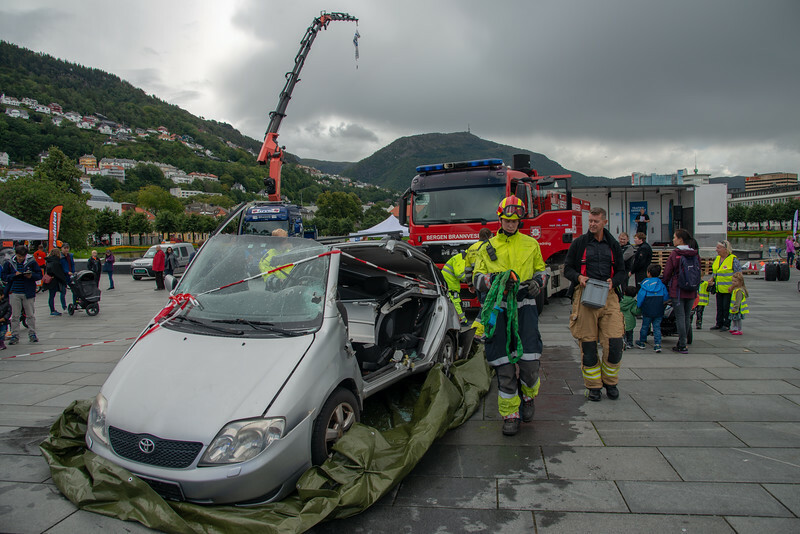 The village is located in the municipality of Aurland in Sogn og Fjordane county, Norway. Fjord (Bergen & Flam), Norway. 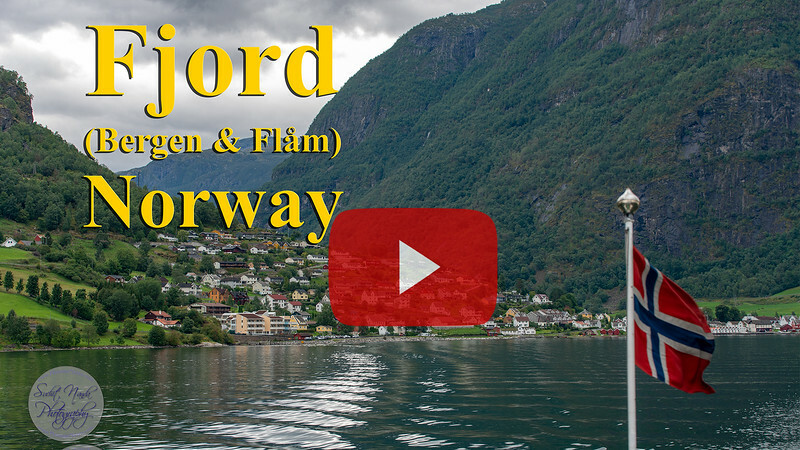 A fjord is a deep, narrow and elongated sea or lakedrain, with steep land on three sides. 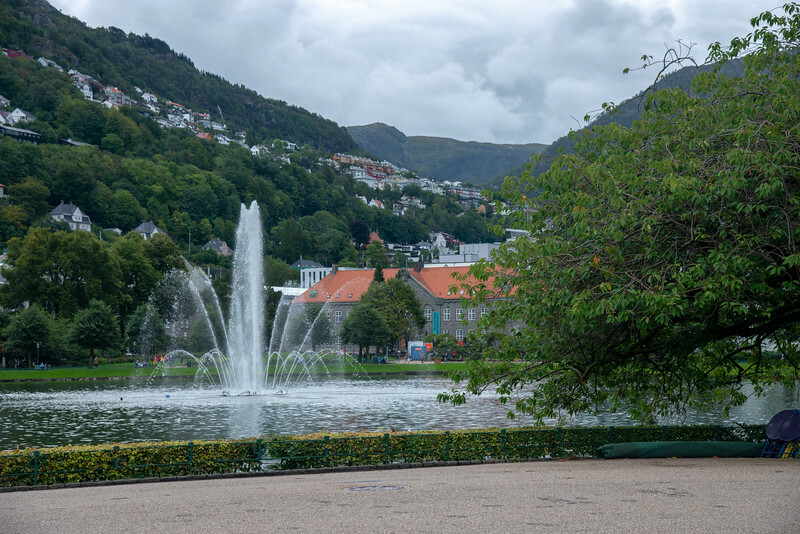 Waterfront, near Bergenhus Fortress at Bergen, Norway. 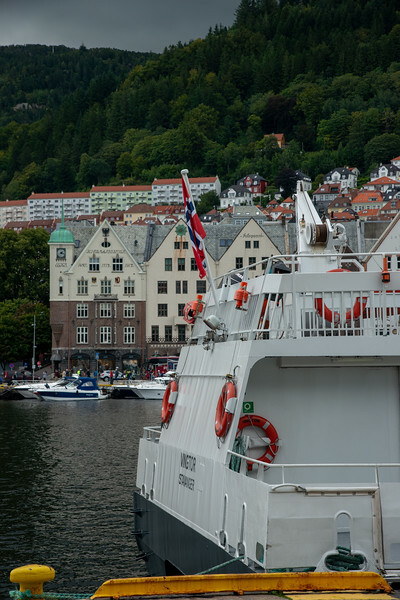 Bergen, historically called Bjørgvin, is a city as well as municipality in Hordaland on the west coast of Norway. 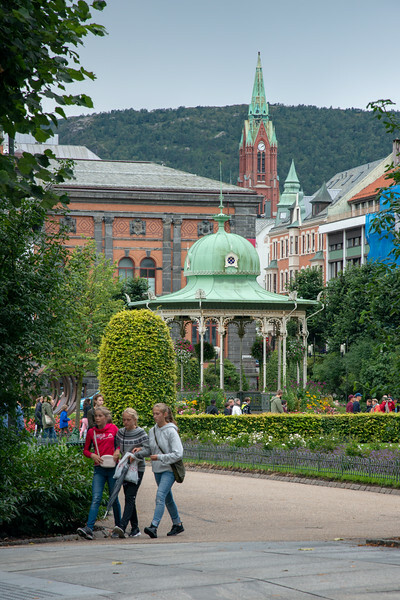 Bergen is the second-largest city in Norway. 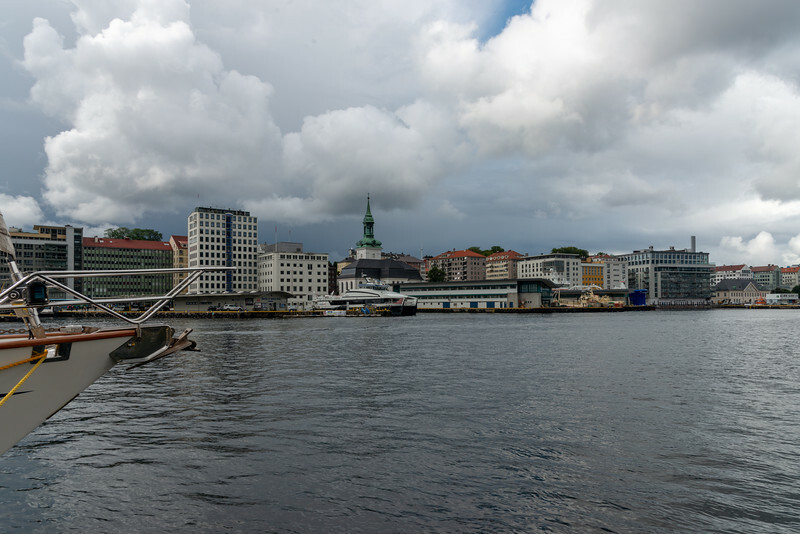 The city centre and northern neighbourhoods are on Byfjorden, 'the city fjord', and the city is surrounded by mountains; Bergen is known as the 'city of seven mountains'. 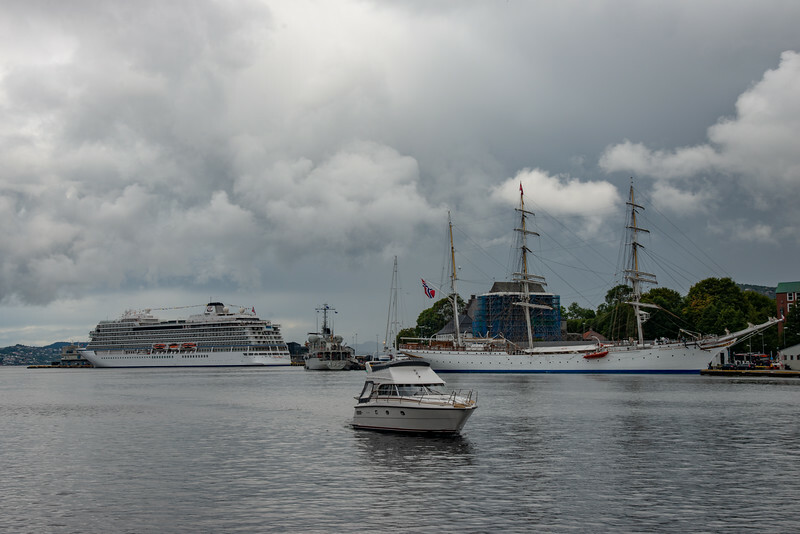 Bergen Port is Norway's busiest in terms of both freight and passengers with over 300 cruise ship calls a year bringing nearly a half a million passengers to Bergen. 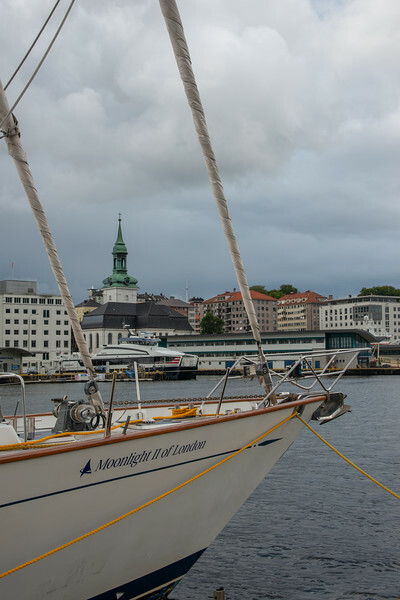 Boats docked at waterfront, near Bergenhus Fortress at Bergen, Norway. 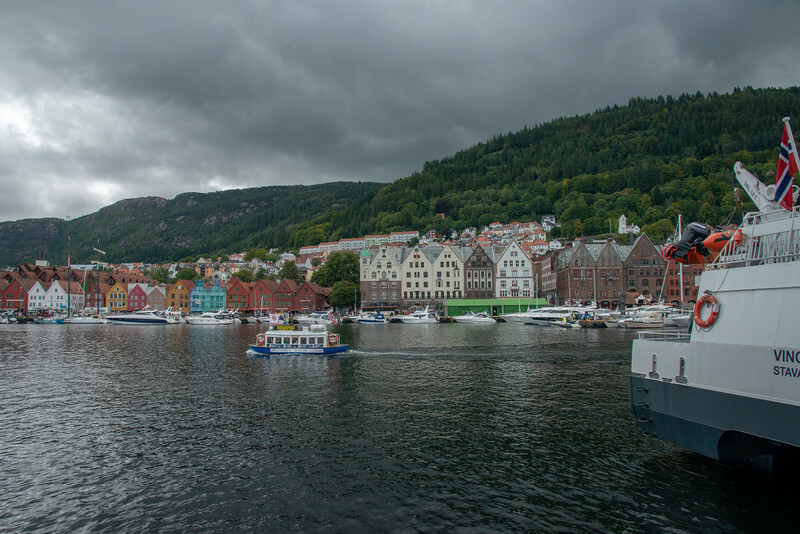 Bergen, historically called Bjørgvin, is a city as well as municipality in Hordaland on the west coast of Norway. 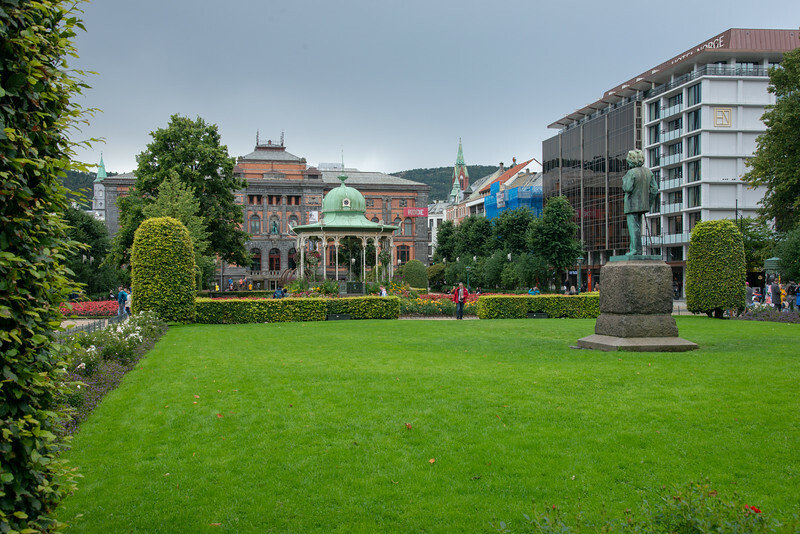 Bergen is the second-largest city in Norway. 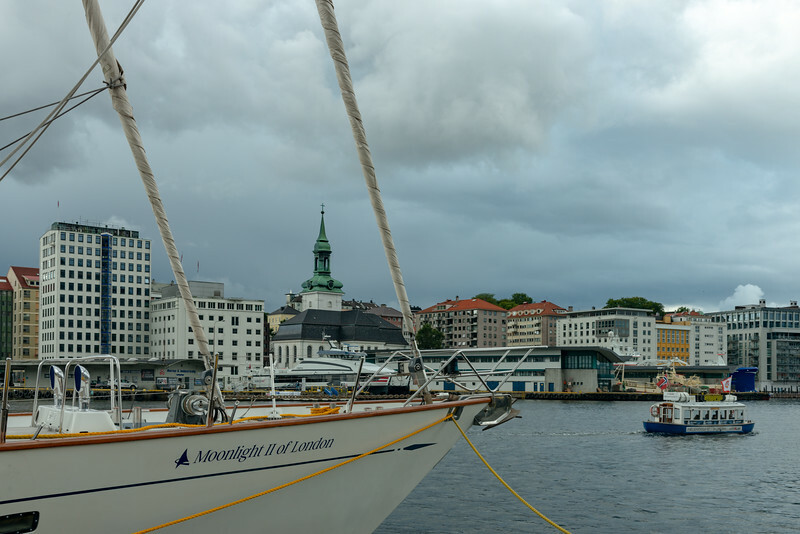 The city centre and northern neighbourhoods are on Byfjorden, 'the city fjord', and the city is surrounded by mountains; Bergen is known as the 'city of seven mountains'. 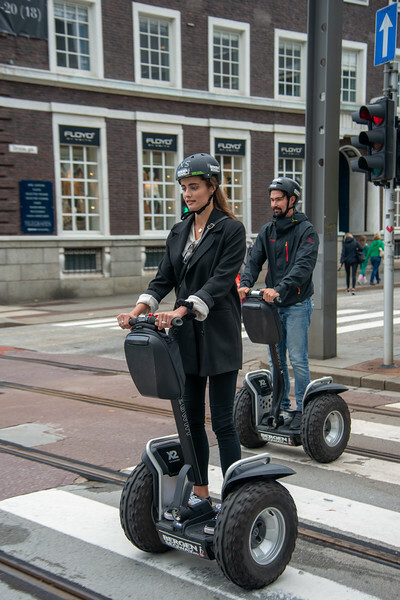 Musikkpaviljongen. 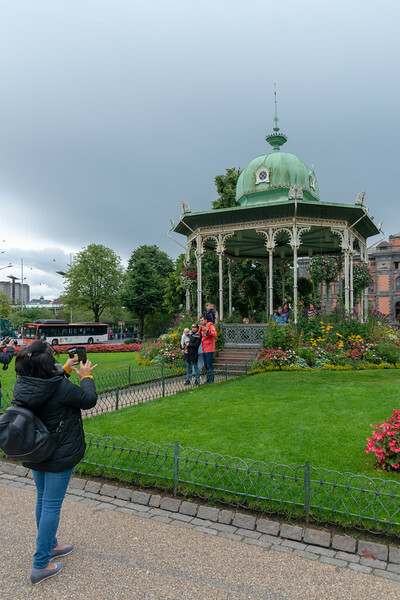 The music pavilion is located in Bergen City Park, Norway. 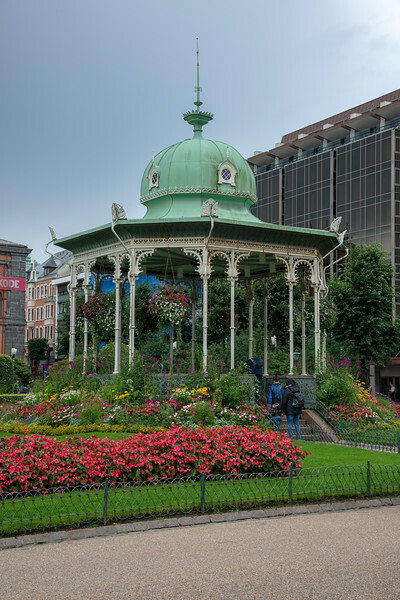 The pavilion was bought as a set of cast iron castings and given to the municipality of Bergen by businessman and consul FG Gade (1830-1904). 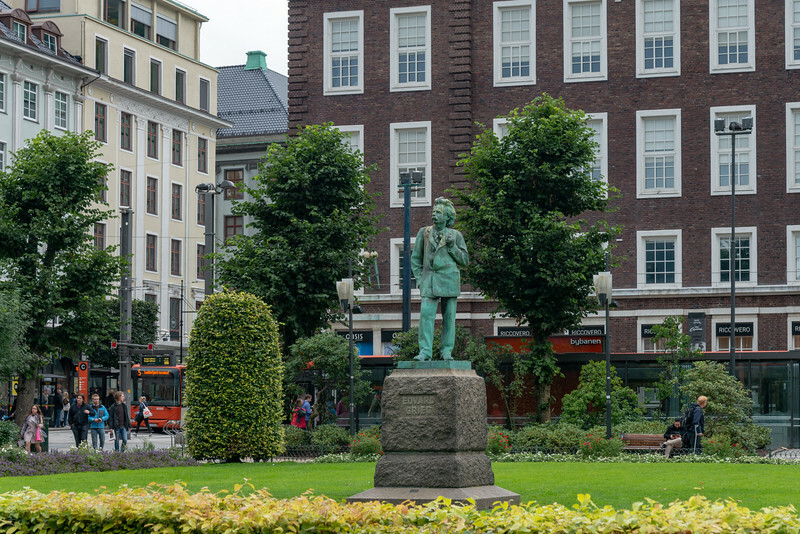 Edvard Grieg statue. He was a Norwegian composer and pianist. He is widely considered one of the leading Romantic era composers, and his music is part of the standard classical repertoire worldwide. 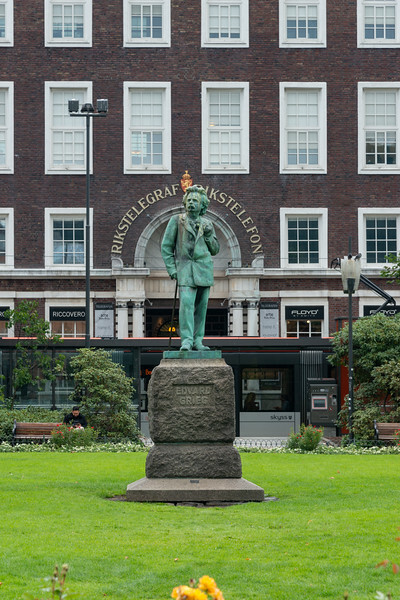 Edvard Grieg statue by Ingebrigt Vik. 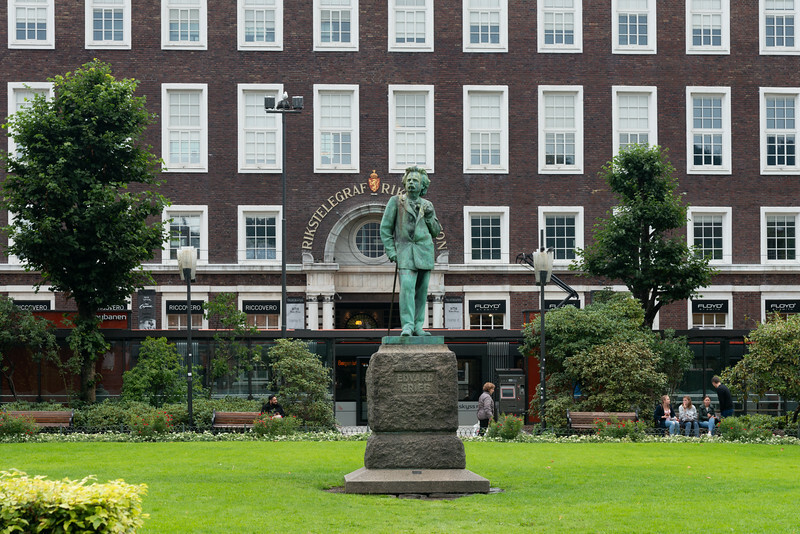 He was a Norwegian composer and pianist. He is widely considered one of the leading Romantic era composers, and his music is part of the standard classical repertoire worldwide. 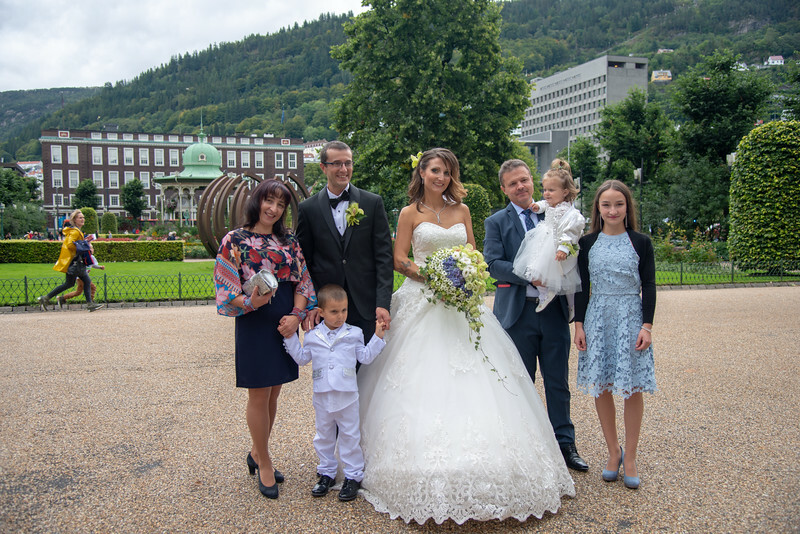 Musikkpaviljongen is a popular wedding venue/location. 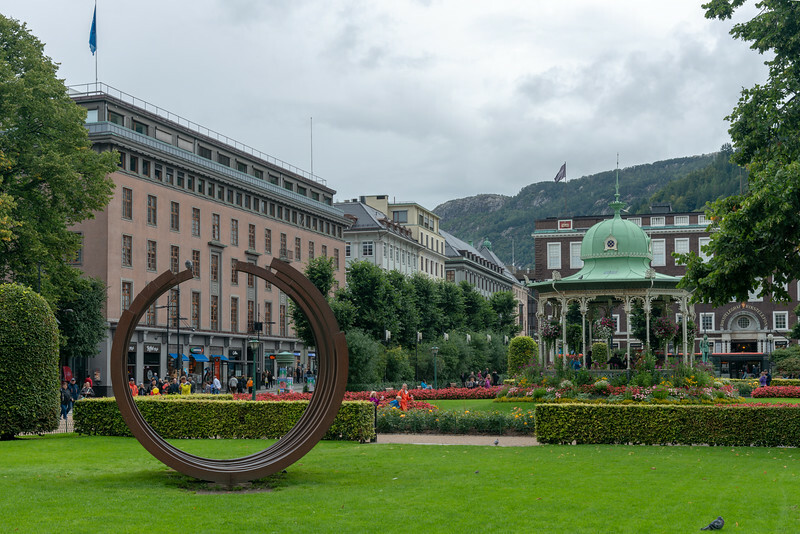 The music pavilion is located in Bergen City Park, Norway. 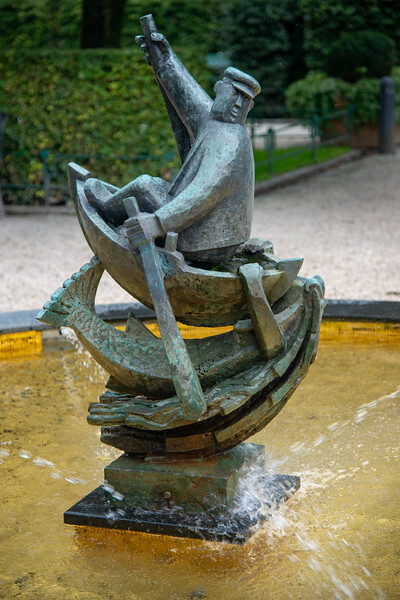 Fiskeren. 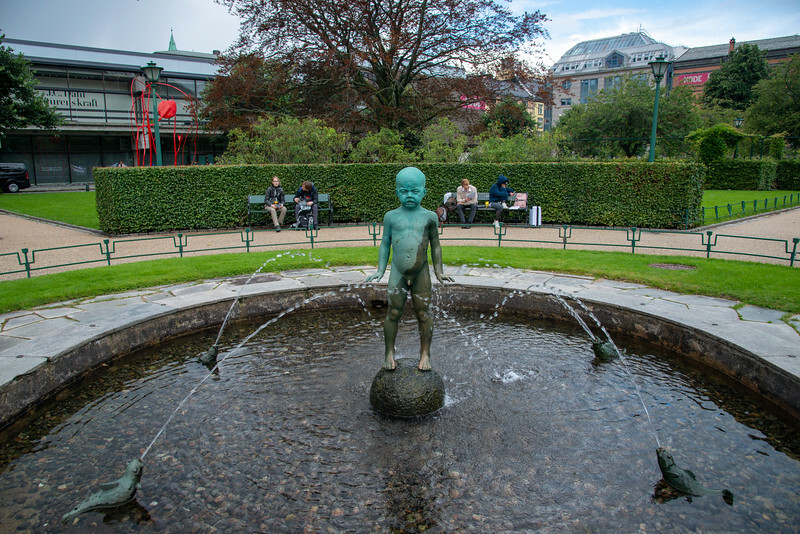 Statue in a park in Bergen city centre, Norway. 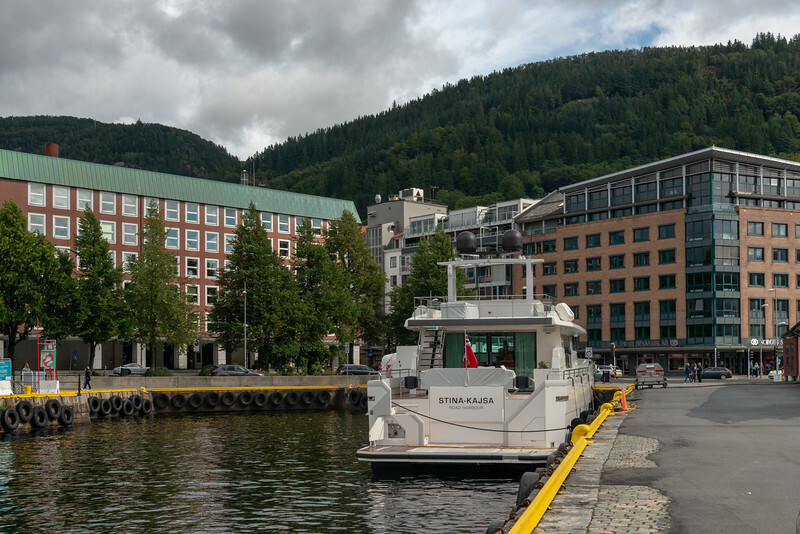 Bergen, historically called Bjørgvin, is a city as well as municipality in Hordaland on the west coast of Norway. Fiskeren. 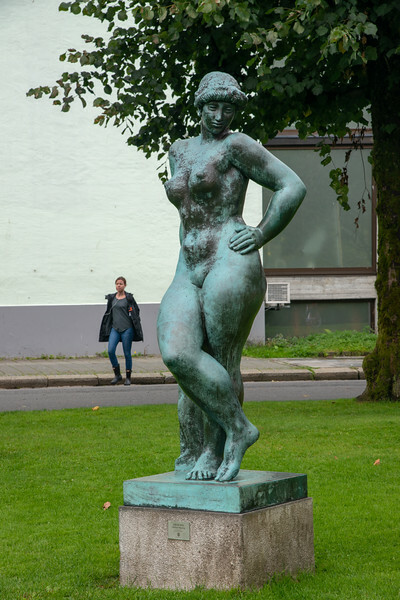 Statue in Bergen, Norway. 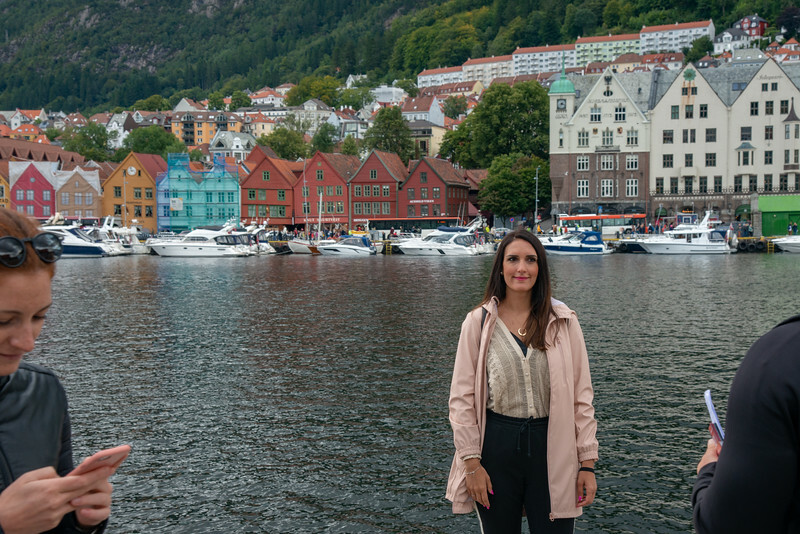 Bergen, historically called Bjørgvin, is a city as well as municipality in Hordaland on the west coast of Norway. Fiskeren. 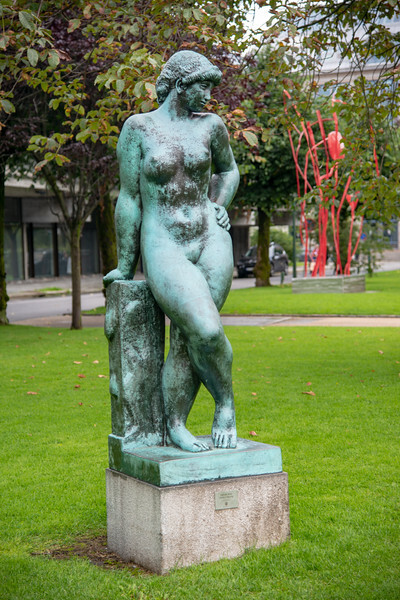 Statue in Bergen City Centre, Norway. 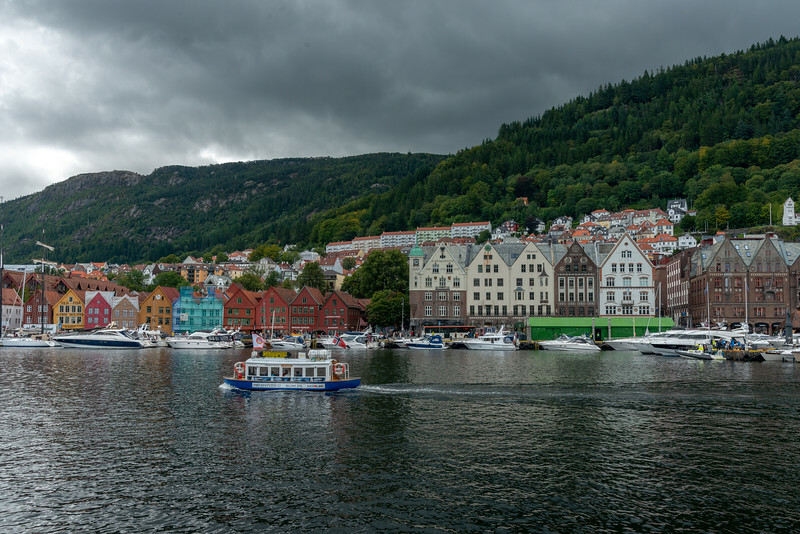 Bergen, historically called Bjørgvin, is a city as well as municipality in Hordaland on the west coast of Norway. 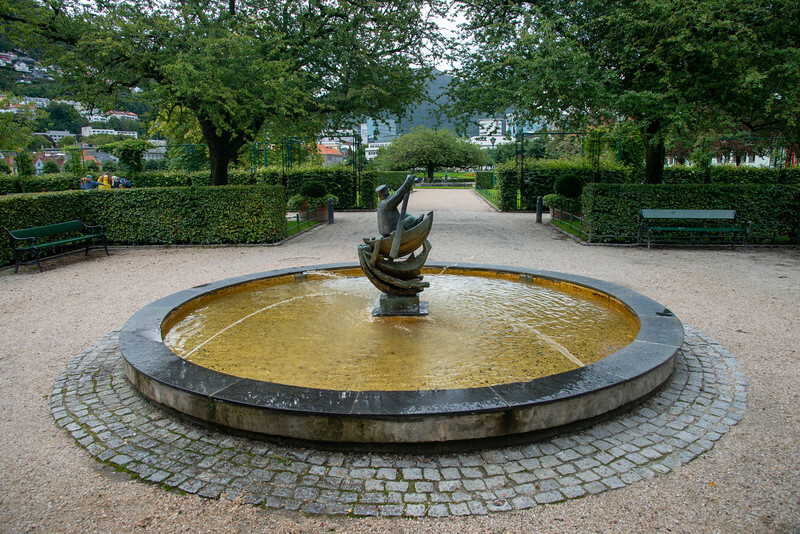 Statues in the park in the City Centre at Bergen, Norway. 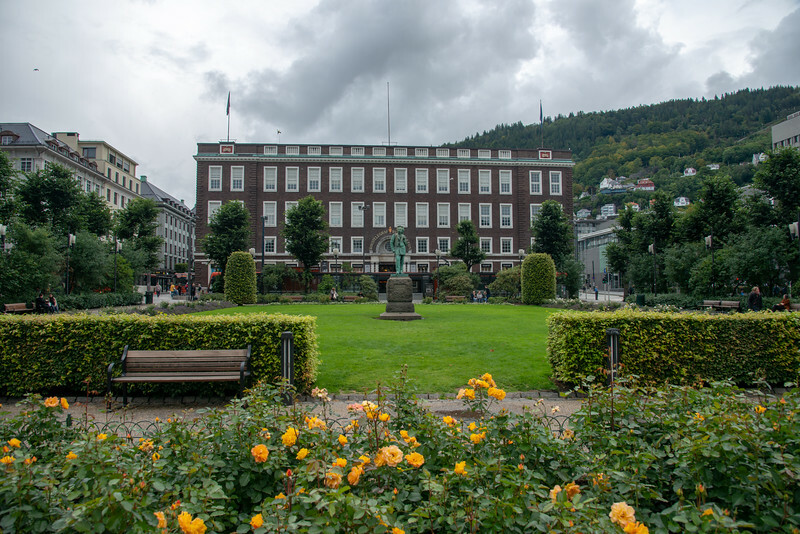 Bergen, historically called Bjørgvin, is a city as well as municipality in Hordaland on the west coast of Norway. 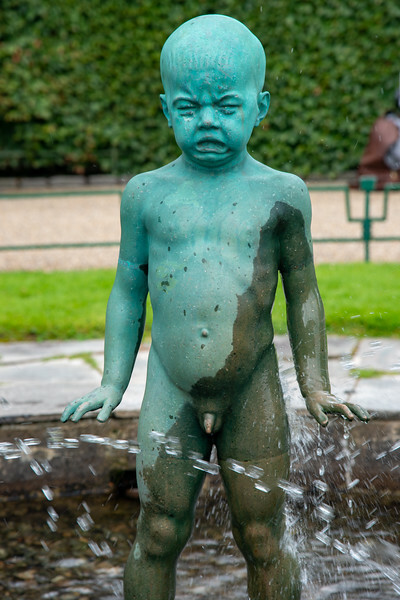 Naked boy statue in the park in City Centre Bergen, Norway. 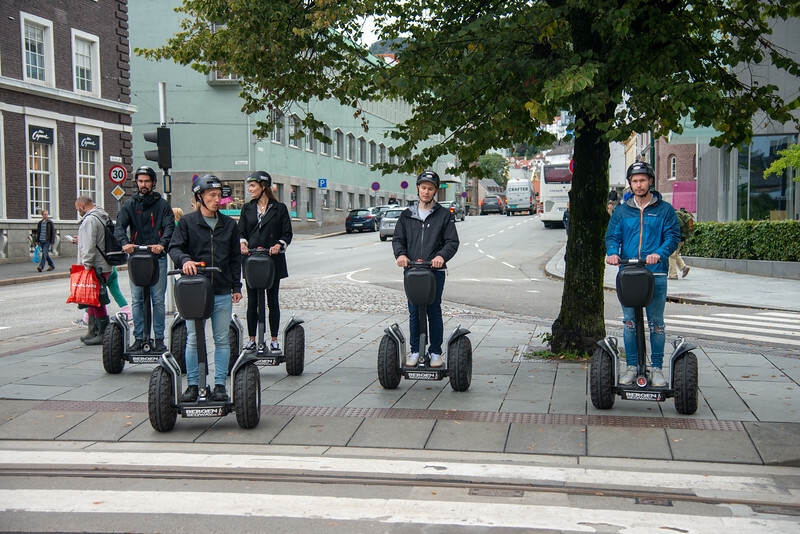 Bergen, historically called Bjørgvin, is a city as well as municipality in Hordaland on the west coast of Norway. 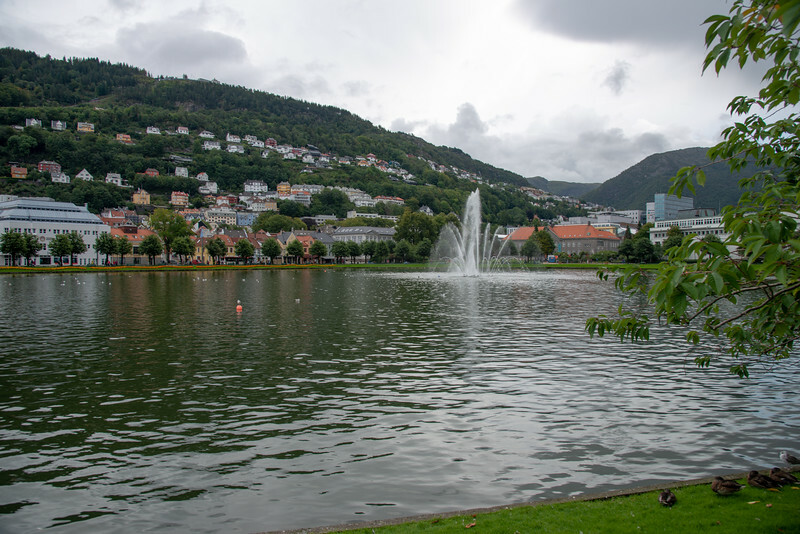 Lille Lungegårdsvannet or Smålungeren is a small 5 acres lake in the centre of the city of Bergen in Hordaland county, Norway. 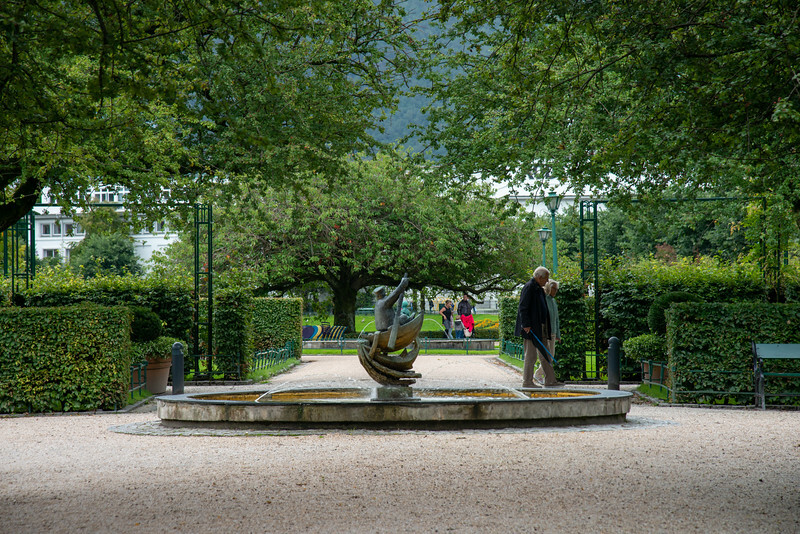 The octagonal lake is a natural lake that was historically connected to the nearby Store Lungegårdsvannet bay via a short strait, but the strait was filled-in in 1926. 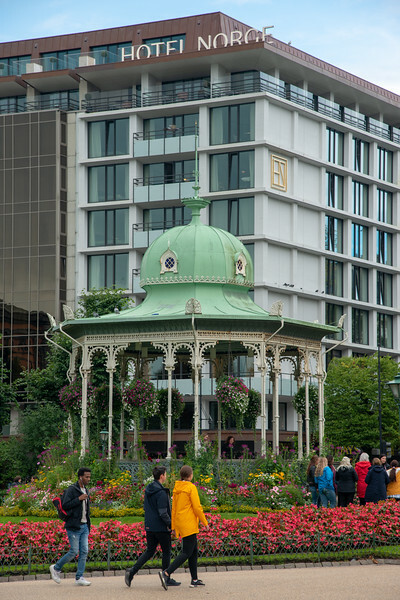 Today the lake is located in a park, in the city centre. 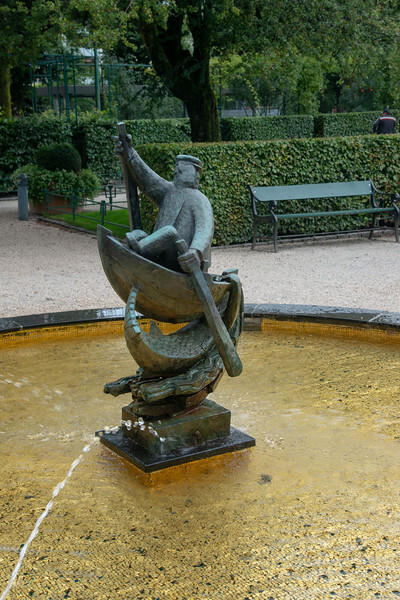 There is a large decorative fountain located in the central part of the lake. 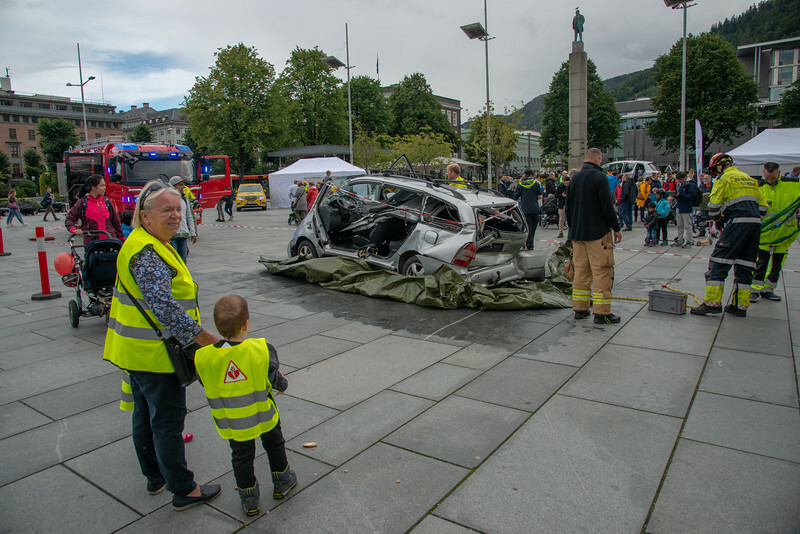 Educational initiative at the Bergen City Centre on not to drink and drive. 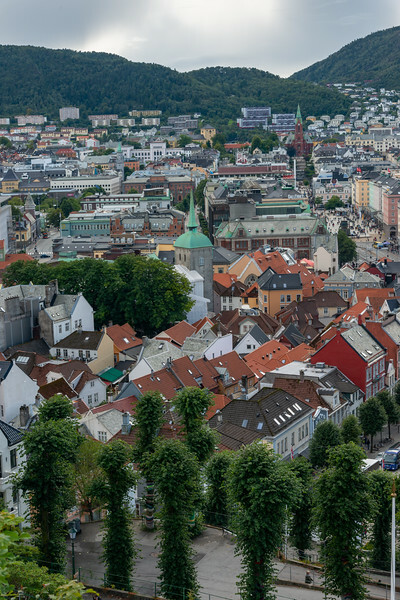 Bergen, Norway. 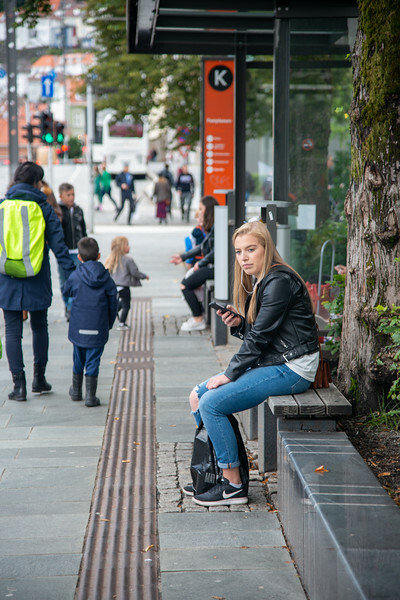 Bus stop in Bergen, Norway. 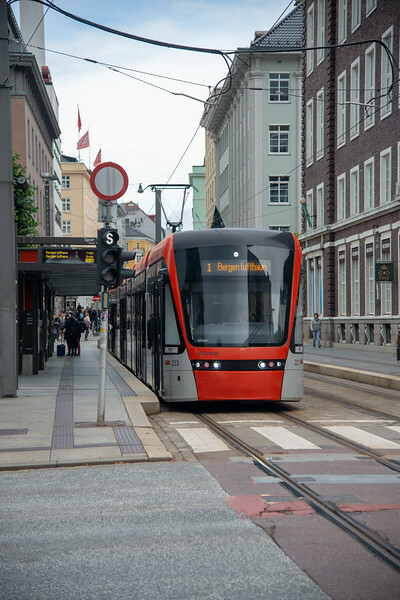 Tramp and public bus in the streets of Bergen, Norway, Europe. 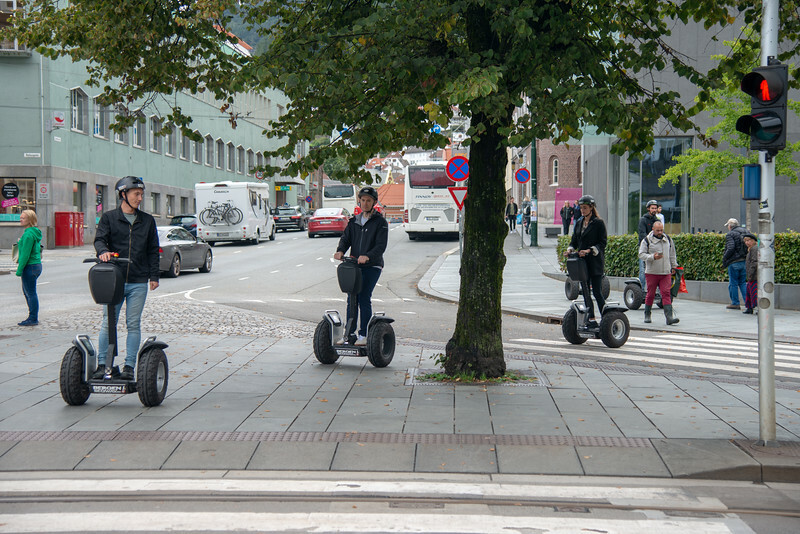 Tourists getting around Bergen, Norway on Segway which is and incredible personal transportation vehicles making getting around easier. 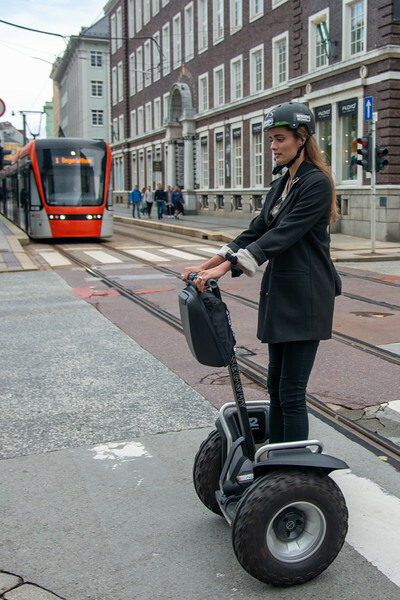 Lady tourists getting around Bergen, Norway on Segway which is and incredible personal transportation vehicles making getting around easier. 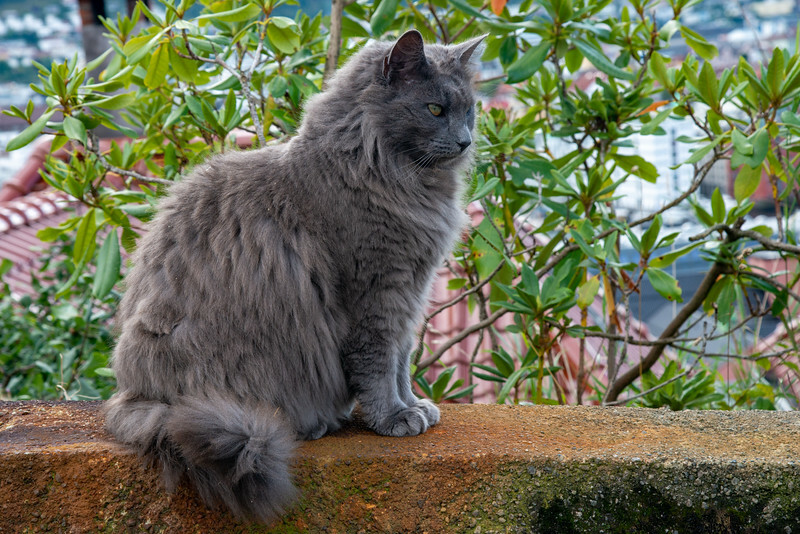 Cat at Skansens Bataljon & Skanseguttenes Forening, Bergen, Norway. 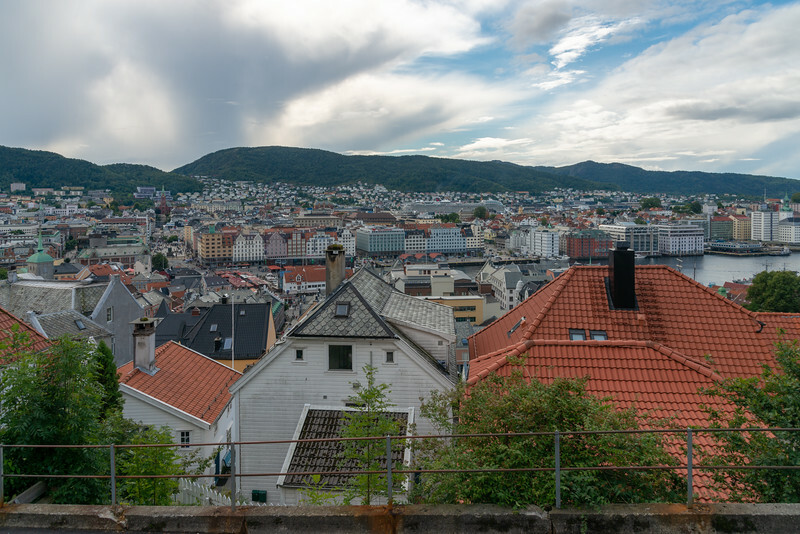 Spectacular view of Bergen Old Town, Norway from Mount Fløyen, Skansens Bataljon & Skanseguttenes Forening. 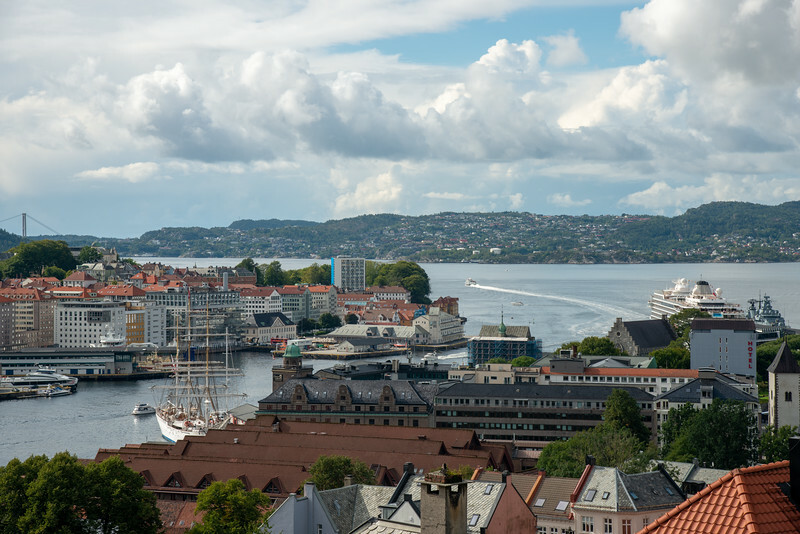 View of Bergen Old Town and harbour in Norway viewed from Mount Fløyen, Skansens Bataljon & Skanseguttenes Forening. 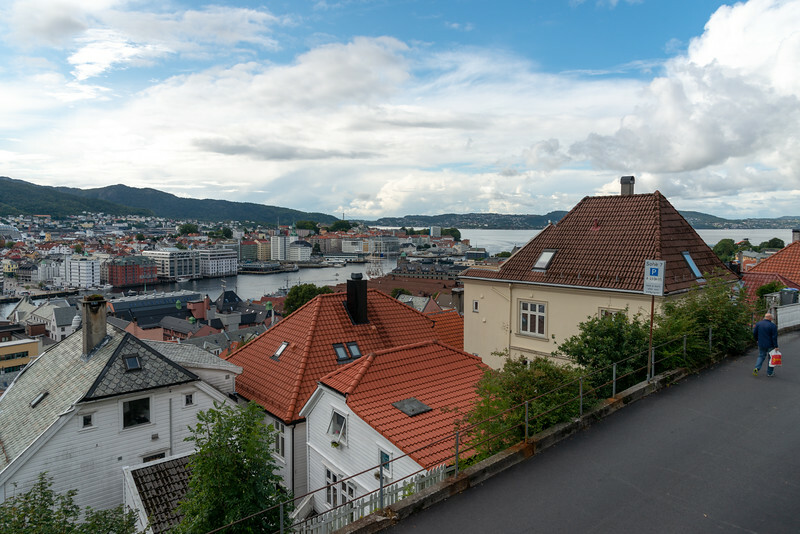 Lovely view of Bergen Old Town, and City Centre in Norway seen from Skansens Bataljon & Skanseguttenes Forening.